Since forming its governing coalition, Katrín’s Left-Green party has already taken bold steps to assert its environmentalism. Rather than appointing a party member of parliament, the Left-Greens have picked Guðmundur Ingi Guðbrandsson, environmental activist and CEO of Landvernd, the largest nature conservation and environmental NGO in Iceland, to serve as Minister of the Environment. The government’s new coalition is expected to continue the work to address climate change began under previous administrations. We expect her then to ban whaling in Iceland!!! Looks like 13, not 41. I invite Iceland's revolutionaries to come to Ireland and kick our government into the Atlantic. How did you do it ? She seems to have the right qualities to make a great leader: 1. Vision of making her country carbon neutral by 2040, 2. A bridge-builder to take along as many on board as possible, 3. And a strong will to succeed. God bless her efforts. Ordinarily, I'm leery of Reds. But this is the right move for Iceland, and an example to the rest of the world. Hey, without an environment, all other squabbles become moot. Meanwhile, dumbass Trump has welcomed Big Oil into our national parks, and put the foxes in charge of the henhouse where all things environmental are concerned. Teddy Roosevelt must be spinning in his grave. Way to go, Iceland, hope the rest of the world will take heed. Can't wait to visit! Iceland. The smartest country on the dying planet. Good luck and best wishes. And meanwhile back in the US we have a clown in charge who is determined to undermine anything that makes the US worth living in. 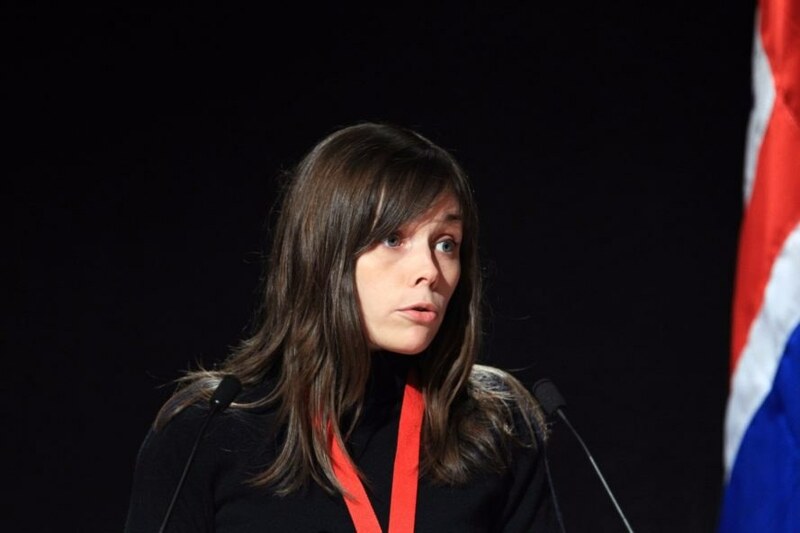 Katrin Jakobsdottir, the 41-year-old chairwoman of the Left-Green Movement, has been elected Prime Minister of Iceland. One of the most well-liked politicians in Iceland, Jakobsdottir, a former education minister and avowed environmentalist, has pledged to set Iceland on the path to carbon neutrality by 2040. As Iceland's fourth prime minister in only two years, Jakobsdottir will take office at a time when national politics have been tainted by public distrust and scandal. A democratic socialist, Jakobsdottir is viewed as a bridge-building leader that may lead the country towards positive, incremental change. “She is the party leader who can best unite voters from the left and right,” said Eva H. Onnudottir, a political scientist at the University of Iceland, according to the New York Times. “Because this coalition includes parties from the left to the right, their work will be more about managing the system instead of making ‘revolutionary’ changes." Since forming its governing coalition, Jakobsdottir's Left-Green party has already taken bold steps to assert its environmentalism. Rather than appointing a party member of parliament, the Left-Greens have picked Guðmundur Ingi Guðbrandsson, environmental activist and CEO of Landvernd, the largest nature conservation and environmental NGO in Iceland, to serve as Minister of the Environment. The government's new coalition is expected to continue the work to address climate change began under previous administrations. While climate change has proven to be somewhat of a boost for Iceland's tourism industry, which welcomed approximately 2.2 million visitors in 2017, the nation of just over 300,000 recognizes the importance of shifting to a clean energy economy and preparing for disruptive changes in the coming decades. Iceland's climate change action plan involves shifting to clean energy in transportation by improving infrastructure for electric cars, planting more trees, and sourcing all energy for public institutions from renewable sources. 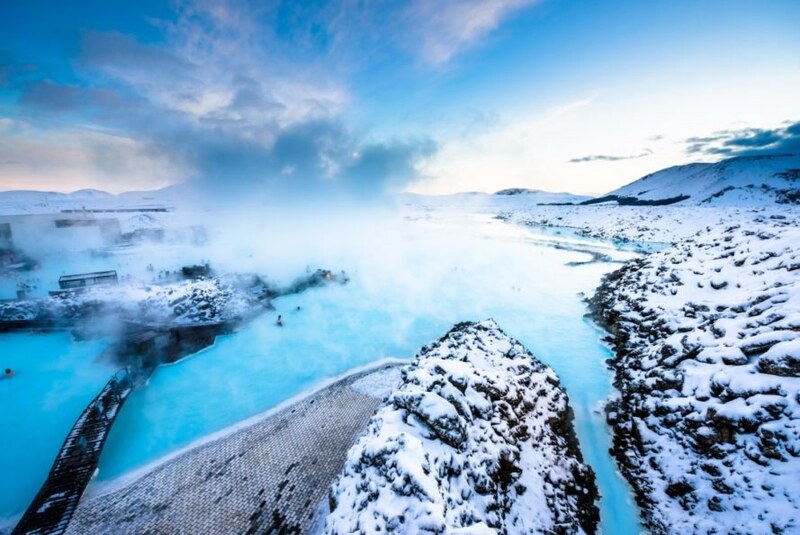 Blue Lagoon Hot Springs, a popular tourist destination in Iceland, on a clear, cold day. Katrin Jakobsdottir, leader of the Left-Green movement, was elected Prime Minister of Iceland in late November 2017.